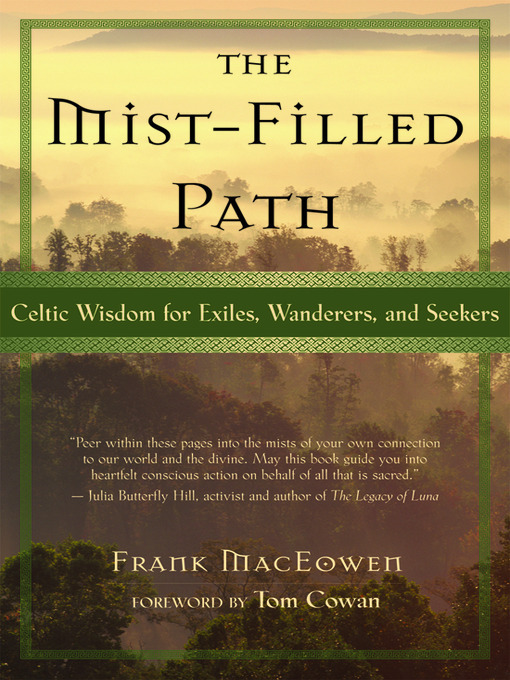 If you’ve never read Frank MacEowen’s “The Mist-Filled Path,” let me recommend you do so. It is very closely aligned with the ideas I’m raising in “A Wilderness Hike,” as well as some in “Getting Unstuck” and a lot of what I have to say about music and healing. It is a splendid revealer of things not often seen with the eyes of everyday life. When walking out on the land, it is good to invite the “eyes of the seer” and the “eyes of the poet” to be present. These are eyes that see the true shape of things. Poets and seers see things differently. When we relax the literal thinking mind and enter a landscape with more fluid perceptions (a soft gaze), we soon find that we become changed. We are then able to connect with our primal, preliterate selves. This preliterate, or perhaps postliterate, state of consciousness opens us to the Great Mirror of Nature. The Celtic tradition of divination and seership is rooted in an understanding that clarity of thought and vision can be found in nature. It is no accident, for instance, that so many Celtic seers, ancient and modern, have been shepherds, drovers, and crofters. These individuals are often out in the land hillwalking. Their souls are customarily deep in the consciousness required to receive vision, spiritual insight, and prophecy. This thread of the Celtic tradition understands well William Butler Yeats’ notion of ‘the condition of quiet that is the condition of visions. Thus MacEowen explains well what this “A Wilderness Hike” series found at the start—there is a healing energy in the wilderness, a sound, a vibration, a mirror that shows us truth amid the usual clamor of the mind. Through hillwalking, the Sleepwalkers can learn to walk between the worlds, becoming again who we always have been.